Taking care of the environment has become a priority for many communities. You don’t need to have bad drinking water or skies filled with pollution to understand the consequences of being bad stewards of the earth. 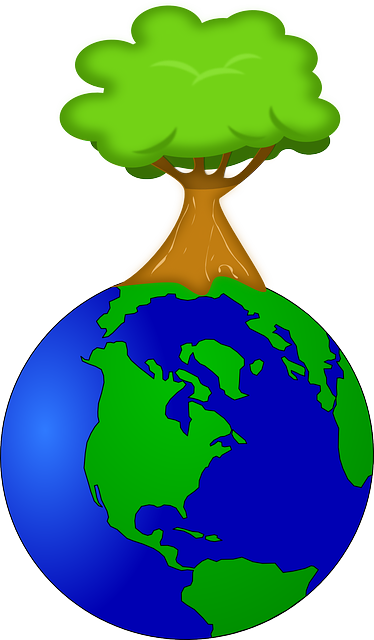 It isn’t necessary to donate large amounts of money or time to make the environment better. You don’t even need to leave your neighbourhood. Here are some tips on how to come together as a community to help environmental issues. Many individuals already drive lower-emissions cars, but have you talked to your neighbours about carpooling, using public transportation, or simply walking to work? How about installing shared green energy technologies such as solar and wind power? Communities from the US and Europe have created “intentional communities” that reduce impact on the environment by pooling resources. One excellent example of living in a way that honours the earth comes from members of the Bruderhof faith. This community uses geothermal and solar energy, and produces many of its own food sources. Their schooling includes education on nurturing and maintaining the natural world. If there are poor recycling facilities in your community, see if you can get a volunteer effort started to recycle, upcycle and even compost. You can designate a day to collect and sort waste, as was done by two Welsh housing communities. Their environmental action days served to raise awareness and increase community pride. The earth is facing a water crisis. Everyone can be a part of the solution by pledging to use appliances and fixtures that lower water use. Be a community organiser and get commitments from your neighbours to avoid toxic chemicals in their cleaning, lawn and garden products. Community gardens are a wonderful way to increase interaction with both the world and the people around you. By growing your own food in an environmentally responsible way, you reduce the demands on less healthy sources. The community garden can also be a springboard for organisation around other environmental concerns and interests, such as the importance of bees and conserving ground soil. Once you begin working within your community to make the earth better, you have a solid foundation for advocating in ways that are more impactful. There are many people advocating for big companies that damage our environment. You can bring your collective voices to your representatives through petitions and calling or emailing campaigns. It doesn’t have to be controversial. It can ask the government to study or fund clean energy projects, control emissions, or simply protect an endangered animal that is a part of your ecosystem. Sticking to the smaller scale, see if you can change the paradigm of traditional community events. For example, instead of selling candy and cookie dough in the school fundraiser, sell green cleaning supplies, or organic and biodegradable products. Individual action to improve the earth is wonderful, but you can broaden your reach. Talk to your neighbours, and build a community committed to addressing environmental concerns.